Stephen Jones Millinery specialise in bespoke and ready-made hats for a variety of occasions as well as baseball caps, cowboy hats, berets and cocktails hats. They also sell scarves. A delivery service is provided. In 1980, Stephen Jones opened his first millinery salon in the heart of London's Covent Garden. Those premises soon became a place of pilgrimage and patronage, as everyone from rock stars to royalty, from Boy George to Lady Diana, identified Jones as the milliner who would help them make arresting headlines. 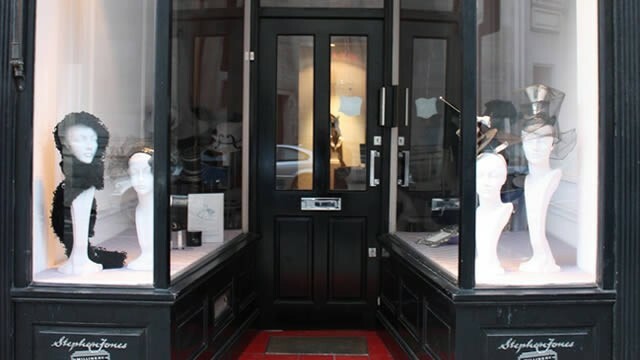 Today, Jones's retail boutique, design studio and workroom are all located in a charming Georgian townhouse close to the site of his very first millinery salon. Jones makes millinery seem modern and compelling. In materials that are often radical, and in designs that range from refined to whimsical, his exquisitely crafted, quixotic hats encapsulate the fashion mood of the moment. Jones's era-defining edge continues to attract a celebrity clientele which currently includes Marilyn Manson, Pink, Gwen Stefani, Beyonce Knowles and Alison Goldfrapp. Is Stephen Jones Millinery your business?